The definition of retirement has always been important for superannuation fund members wanting to access their super once they reach preservation age and retire. But after big changes to super on July 1, 2017, the definition of retirement has become even more important. Before the changes, when an individual started a transition to retirement (TTR) pension before retiring, the earnings generated by superannuation assets that supported the TTR pension were tax-free. But since July 1, 2017, earnings are tax-free only to the extent the assets are used to support an income stream where the individual has retired or met a full condition of release, such as turning 65. So the definition of retirement is critical to ensuring superannuation income is tax-free. There are two main ways to satisfy the definition. The first and easiest is to cease gainful employment after reaching 60. The other involves ceasing gainful employment before 60 and reasonably satisfying the trustee of your superannuation fund that you intend never to be gainfully employed again. This all seems quite straightforward. But if we explore a case study from the Australian Tax Office (ATO), the definition of retirement may not be quite this black and white. Charlie is 57 and a beneficiary of the Crackle discretionary trust (Crackle). Crackle is a smash repairs business where Charlie has been an employee for nearly 20 years. Charlie ceases his employment with Crackle and is paid out the accumulated leave entitlements owed to him. The trustees of the SMSF of which Charlie is a member are satisfied that he never intends to be gainfully employed again either full or part-time, and his SMSF starts to pay him an account-based pension. That the ATO was interested in this payment structure is hardly surprising. But after Charlie’s employment has ended, he continues to perform substantive duties for Crackle (much the same as when he was an employee). Instead of getting a wage, Charlie receives distributions of trust income from Crackle. The criteria for the superannuation definition of retirement relevant for Charlie is determined by establishing whether he has stopped being gainfully employed before 60 and never intends to be gainfully employed again. By this definition, how do we assess Charlie’s situation? The fact that this a private business using a family trust structure invites close analysis. It would be unusual for a business to allow someone to continue working after ceasing an employment contract. Yet Charlie is still intrinsically linked to the business and, although he is not getting a salary, he is receiving distributions from the trust. That the ATO was interested in this payment structure is hardly surprising. The ATO believes that Charlie continued to perform the same duties he did as a former employee. It therefore took the view that Charlie was still gainfully employed because he was still receiving a monetary reward that was linked to the performance of the business. Importantly, though, a slight change in Charlie’s circumstances could have made all the difference as to whether he had retired under superannuation law. If he had been employed by another business run by an entirely unrelated party that he ceased working for 20 years ago, this would satisfy the first aspect of the retirement definition – ceasing gainful employment regardless of how long ago it was. To fully satisfy the definition of retirement, the trustee would have to be satisfied that Charlie never intends to become employed again (as the second criteria for individuals who cease employment before 60). How do you satisfy this? If Charlie had never had a written contract of employment with Crackle, never received a regular wage but drew money irregularly from the business account, received no superannuation or never had PAYG tax withheld, then there may be an argument Charlie has never actually been gainfully employed by Crackle. If the trustee is satisfied he does not intend to work for anyone else, then Charlie may have satisfied the definition of retirement. It is scenarios where you cease employment before turning 60 that are most difficult to determine. 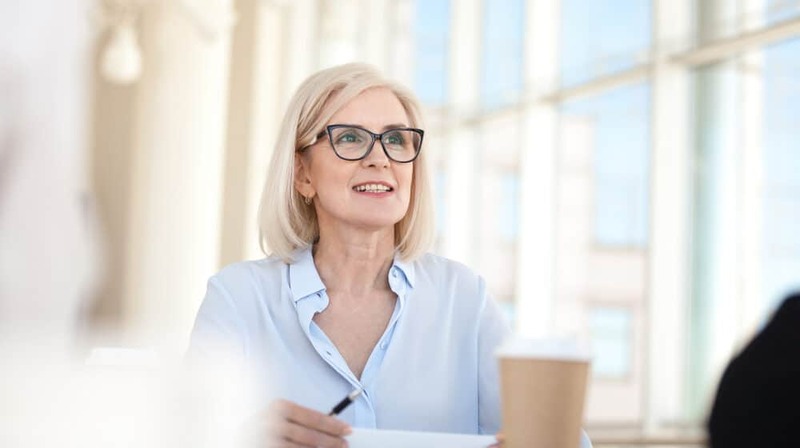 Individuals who cease employment after 60 will satisfy the definition of retirement, be able to access their superannuation and are even able to start working again. Each arrangement, therefore, is intrinsically different and must always be decided on a case-by-case basis. Being sure you have met the definition of retirement is an extremely important legal requirement. Individuals who start drawing money incorrectly on the basis they thought they had retired will be making a serious contravention of superannuation laws by accessing their money early and unlawfully. Further, it may be the difference between starting an income stream that enables earnings on superannuation assets to be tax-free and one that isn’t. That is why getting specialised SMSF advice is so critical. The law around retirement is complex, and a specialist is often needed to interpret it, including getting advice from the ATO if that is deemed necessary.